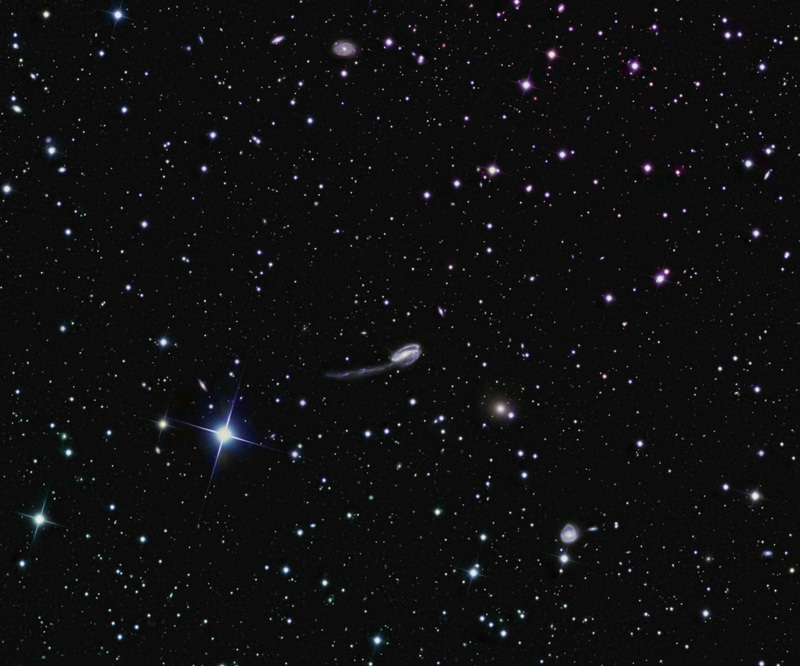 The Tadpole Galaxy is a distorted (Arp 188) galaxy in Draco about 400 million light years distant. The tidal tail resulting from galactic collision is 280,000 light years long and hosts some bluish regions of new star formation. This fiield is ~35 arcmin square.